In less than three months, hundreds and thousands of students will land in America to experience their American dream through the Work and Travel program. It is a chance for them to work and live like an American in one of the fifty states.By the time three months of work, saving money, making plans for the trip will be over, everyone will be heading towards places they would like to see and visit.Of course, for many of them the destination will be New York. 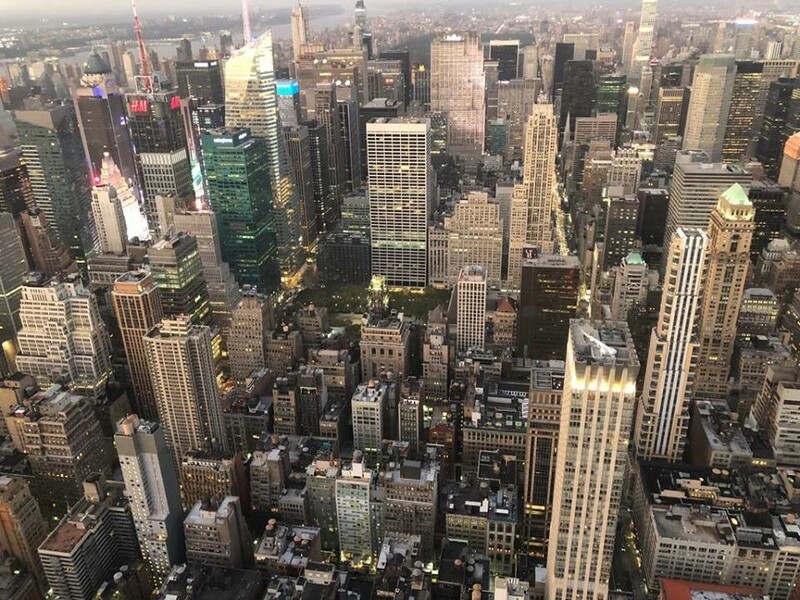 Before you begin your trip to New York, you have to understand that it is an expensive city, so you will have to pay a good amount of money for renting an apartment or a hotel room. If you travel with your friends, then it would be better if you rented an apartment for your stay, because this way you can feel like home in New York, and moreover, it is a good way to save your money for food. Usually, apartments provide a kitchen, so you can cook there and save money at least for your breakfast or dinner. The best site for renting an apartment is Airbnb. The site allows you to speak directly to the owner and you can ask him or her any questions you feel are necessary. The payment is also safe, because you are paying via the site itself with your credit card and if you have any issue, you can always contact customer care server. When choosing the area where you would like to stay, go for Manhattan. Manhattan might be a little bit expensive to live in, but it is a safe and quiet zone. Also, it is located near Central Park and other attractions. So once the preparation for you trip is done, let’s take a close look to what one can do and see in New York. First of all, don’t miss the Central Park. It is an unique place, placed rightin the middle of a crowded and noisy city. 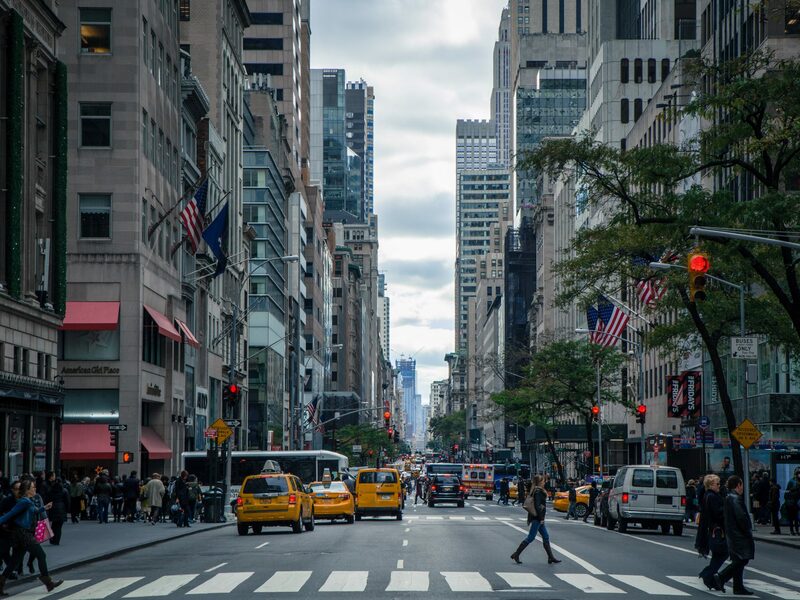 There you can rest your feet,because of course, being in New York implies a lot of walking. Buy yourself an ice cream, choose a bench and enjoy yourself under the sun. While in Central Park, never forget that it is huge and that means you can see many places and things. For example, you can see a playground where kids are playing baseball, or you can find yourself in the middle of a jungle, surrounded by small waterfalls and flowers. To spend less time walking around, you can rent a bike. The bike station is located near the park. If you want to feel a little more extravagant, you can rent a horse carriage and have a tour around and a little conversation with someone who can tell you the history of the park. Madison Square Garden is the place you’ve seen in movies, full of big screen projecting advertisements and many tourists from all around the world. Even though there are lots of places where you can see people from all around theworld, Madison Square Garden has its own atmosphere: a joyful and happy one. At night, the place turns from a crowded street to an even more crowded one. You can often see people gathered around, watching the shows street artists perform in front of them. Usually, the artists also choose someone from the crowd to help them perform their show. Also, don’t get surprised if you see Batman or Spiderman in front of you. Take a picture with them and give them a high five. Despite the fact that Madison Square Garden is so nice, there is a different side of it. You have to pay attention to the people surrounding you, because sometimes you can bump into someone who is not really that trustworthy. So if you don’t want to get into trouble, just be careful. If you are a big fan of food, especially of French fries, pay a visit to “AppleBee” – excellent food and free French fries whenever you ask for it. Another beloved place by Americans and hungry tourists are small shops all over the city, which sell a slice of pizza and a can of soda for only 2.50 dollars, and I bet it is going to be the best pizza in your life. No doubt anyone could say that America is full of beautiful skyscrapers, but what about a building which isn’t a high cuboid, but a prism? 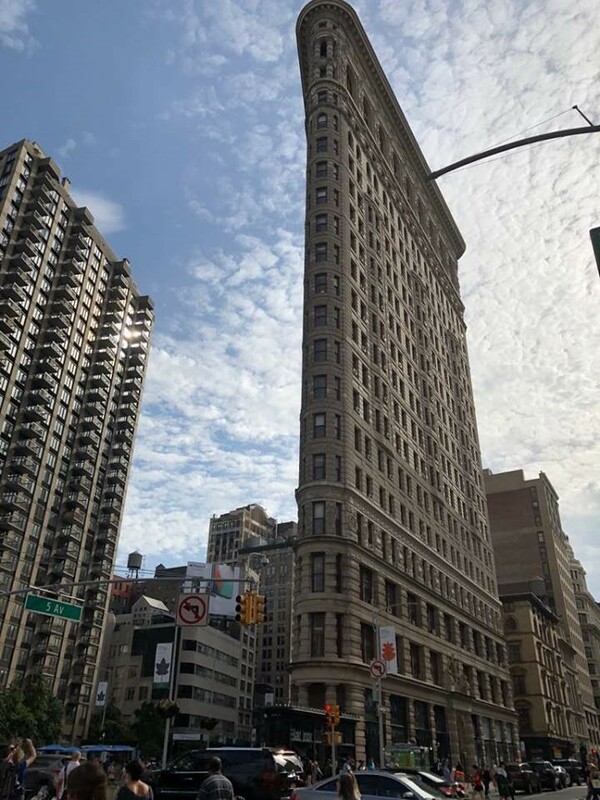 Flatiron building is almost 90 m high and is located at 175 Fifth Avenue, Manhattan. Except the great view from the top of the building, you can also find fancy stores with candies or little girls who serve free lemonade. Also, not far from the Flatiron building there is a little park. If the weather is nice and it is warm outside, many bands perform concerts and anyone can listen to them. Every day you can take a boat which will take you to the Statue of Liberty, the greatest tourist spot. If you want to climb into its crown, book the tickets a few months earlier, otherwise you will only walk around its feet, which is not that bad either. Touristic boats also take you to a small island – Ellis Island, where you can find out more about the history of the US in the Immigration Museum. The 9/11 Memorial Museum is located in the area where the twin towers once were. Instead of forgetting about the victims who died in a tragic incident on September 11, the American government built two big pools. All the names of the victims are written on its edges. 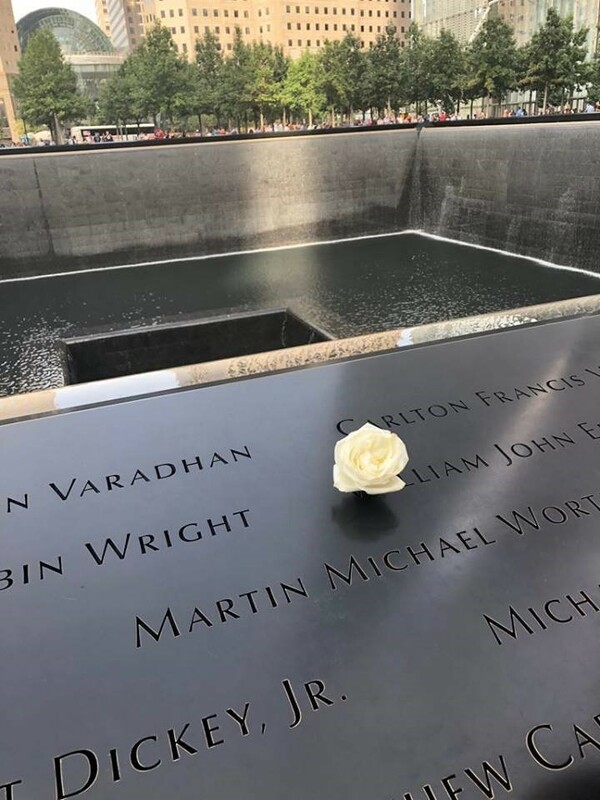 The emotions you feel in that place are something unreal, because you are aware that it is a place where hundreds of people died and at the same time you are amazed by the size and the beauty of the memorial. If you want to see New York from above, then you must go to the Empire State Building. The view from above is unbelievable, you can see the whole city like it is on your palm. But be prepared: it is so crowded, that first of all you will have to stay in a few lines before you get to the top of it, and second, you will also have to wait for your turn to look at the city once you are up. But it all pays off when you see such a beautiful city like New York from the top. To save money in your trip, it is better to buy a city-pass, which will allowyou to visit more places for less money. More about city passes you can find here and here. Another tip to save money is to always bargain with souvenir sellers, becausethey will always accept to sell you a “I Love NY” T-shirt or a hat for a lower price. Despite the fact New York is a big city where you can always find things to see, you can go and visit the best known tourist attractions within a few days. So if you came to New York for more than five days, then a tour to other locations should catch your attention. Chinatown is not only a place full of different cultures, but also a place where you can book a tour. Depending on which tour you choose, you can visit more places outside New York. The good thing about these tours is that you can visit many places like Niagara Falls, NY or Washington D.C for a reasonable price. This kind of tours are a great deal, especially if you want to visit as many places as possible in a short period of time. Usually, the guide will be a Chinese woman who will mostly speak Chinese, but don’t worry, she will translate it into English right away. This tours also include hotels, so you will not have to sleep in the bus. In the end, there is only one thing to say: New York is a must visit place. 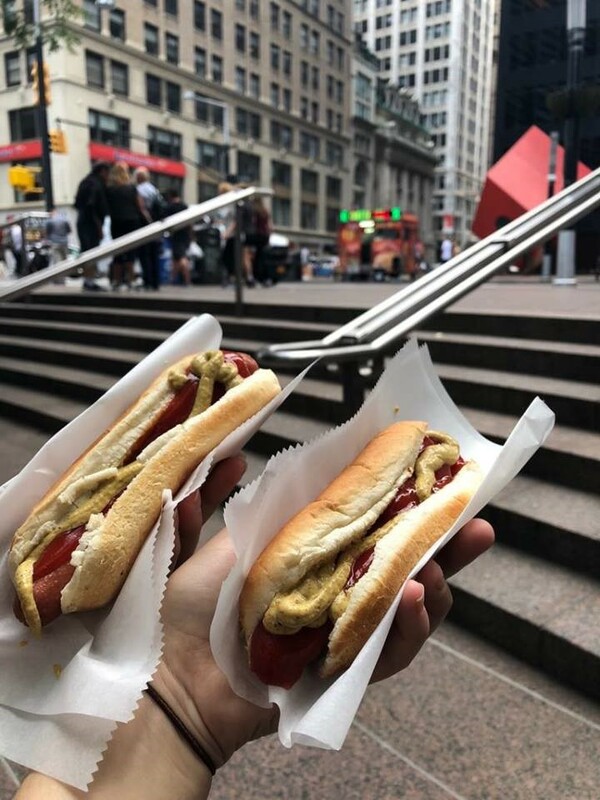 Even if there would be nothing to do in town, which is impossible, you can always buy yourself a one dollar hot-dog and walk around: you won’t be disappointed.